Founded by Enzo Ferrari in the year 1947, Ferrari is one of the most famous car companies and the holder of the most titles in the Formula 1 World Championships. Awarded for being the most influential brand, Ferrari has always produced fast and elegant machines that are highly sought-after all over the world. Luxury cars like Ferrari do come at a very high price not within everyone’s reach, just like Ferrari spare parts, which are often very difficult to find even from garages and shops. Autoricambi d’Epoca is an Italian company that retails historical parts for Ferrari, being original Ferrari spare parts. On the website, you can find Ferrari components and original spare parts at advantageous prices. Autoricambi d’Epoca is considered a Ferrari parts specialist. With us you can find everything you need to dress up your classic and sport car. We provide a wide range of Ferrari parts, Auto Parts & Accessories for different models like Ferrari f40, Ferrari v8, v6 Ferrari 206, Ferrari 246, Ferrari 308, Ferrari 328, Ferrari 348, Ferrari Dino, Ferrari 275, Ferrari 330 and Ferrari Daytona (Ferrari 365 GTB/4). Since 1984 we represent a point of reference for the spare parts of Italian cars. A lot of buyers have chosen to trust in our quality. Our Ferrari parts are 100% original and authentic. 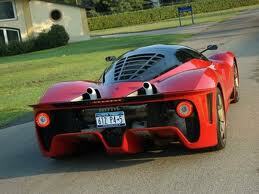 We provide a wide range of Ferrari parts, Auto Parts & Accessories.